This chapter draws on research into variables influencing Election Officers’ decision-making on e-voting adoption in the UK with additional data from a senior executive of the Association of Electoral Administrators (AEA). The qualitative research underpinned by the realist paradigm focused on the 2003 and 2007 e-voting pilot programmes. Following a review of relevant literature, the enquiry involved a series of semi-structured interviews with samples of Election Officers in authorities that joined the 2003 and 2007 pilot programmes and a sample of those who had declined to join. An interview with a senior executive of the AEA verified the findings. 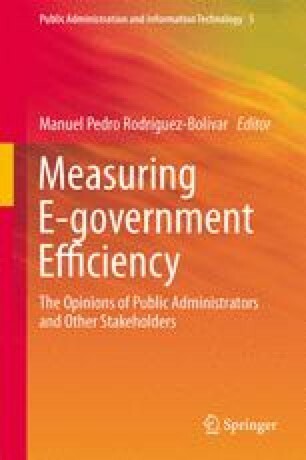 The results suggest a series of broad-based lessons that can be used to better inform e-government policy design. The lessons result from the limitations in the pilot evaluation strategy which failed to identify reasons that local authorities declined participation in the e-voting pilot programme. The conclusion suggests that the values and beliefs of actors involved in local e-policy adoption decision-making are pivotal. It further suggests that there are practical steps that, if taken by policymakers, have the potential to address mechanisms that influence against voluntary e-government policy adoption.